In a few months, I'm heading to Australia with a working holiday visa. I am planning to stay for around 12-15 months where I'll be visiting different parts of Australia, New Zealand and backpacking around SE Asia. Are there any types of shoes that would be suitable for all the activities I am interested in? I like to use trail/approach shoes as my all purpose shoe. 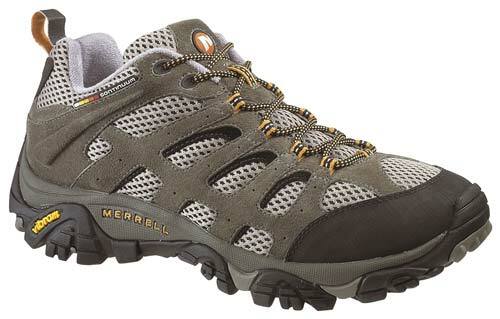 They're flexible and soft enough to be comfortable long term, you can buy them to different levels of breathability/enclosed to cater to climates, and you can walk all day in them with their grippy, hiking boot like soles and air cushioning. You might have some difficulty getting in to nightclubs with a "no trainers" policy though. I'm currently travelling long term. Your priorities may differ from mine, I'm a male and care about the look of my footwear to the extent that they don't stand out or look obviously inappropriate for whatever I'm doing. I'll tell you what's worked really well for me. Very comfortable for walking long distances, in and out of urban areas. And of course, running. These things are built to support your feet and ankles for long-distance running, and will likewise give you a very comfortable walking experience over long distances. Highly versatile temperature range. They cover your whole foot tightly, but are made with breathable material that ventilate the feet nicely - so wearing thinner or thicker socks makes them equally comfortable for a cold winter or hot tropical climate, and everything between. A further advantage of the thin material is that they dry quickly if you get them wet. Light, and not bulky. Again, owing to the thin material. If you do find yourself packing them at any point, you'll appreciate this. Extremely durable. With a good quality pair, you likely won't need to replace them for years, especially if you're mainly walking in them. They will easily last you for your entire trip of 12-15 months. I've been wearing mine every day, hiking and playing sport in them, for months, and they actually still look and feel pretty new. They look right for most situations you'll encounter as a backpacker. Assuming they're all-black as mine are with no flair, they really don't stand out. You can wear them with pretty much anything. They look fine hiking, walking around town, in cafes, bars, restaurants. A really nice advantage you may not have thought about is that it's handy to be able to transition between these activities, without having to go home and change shoes (as you might have to with a separate 'scruffy/specialist hiking day shoes' and 'smarter night shoes' strategy). Can be used for a wide variety of sporting activities. If you want to occasionally have a kick-around, go to the gym, a quick run, whatever during your travels (I've done all these), you have a pair of versatile sport shoes. Dedicated hiking boots, for example, might be great for walking or gym, but might be a bit cumbersome for ball games. Versatility is the key. Running shoes aren't the perfect shoes for playing football, for example, but they're good enough to do the job if you just want to play occasionally. I'd like to add I also have a pair of cheap, throwaway canvas shoes for use at the beach, or at the pool or whatever, or when I'm actually prepared for a night out and canvas shoes will look slightly better than my running shoes. However, I have no attachment to these, I could throw them away, lose them, and re-buy another pair at any time without caring, and they pack really small. So they're there, but I don't consider them a pair of shoes I actually need, I could do without them fine. Having one pair of 'proper shoes' rather than two is fantastic. I've made the mistake of packing day and night shoes on past trips, and this way, for me, is much better. Shoes you usually wear every day at home. trail/walking shoes (see CMaster's answer). flip flops (if you're already used to wearing them) it can be hot in these places. dress shoes, when going out in the evening; it is nice to dress up once in a while. 1 and 2 can/could be merged. I assume have a "home base" where you can stash your belongings. Sneakers (if the comfortable shoes are not already sneakers). When I travel I take a pair of (light) hiking boots and a pair of sandals or flip flops. While traveling, I might pick up an other pair, but most of the time those fall in the same category. I do not bother with dress up shoes, (but I do not go out when traveling alone either) and I never use shoes to run in, if you do use those take one pair instead of your hiking shoes or sandals. But I expect you will add a pair of very thin open shoes (sandals or flip flops) as they are great for informal situations and easy on your feet after a day in shoes. Casual shoes to wear when you go out in the evening. Not the answer you're looking for? Browse other questions tagged international-travel backpacking working-holiday long-term or ask your own question.